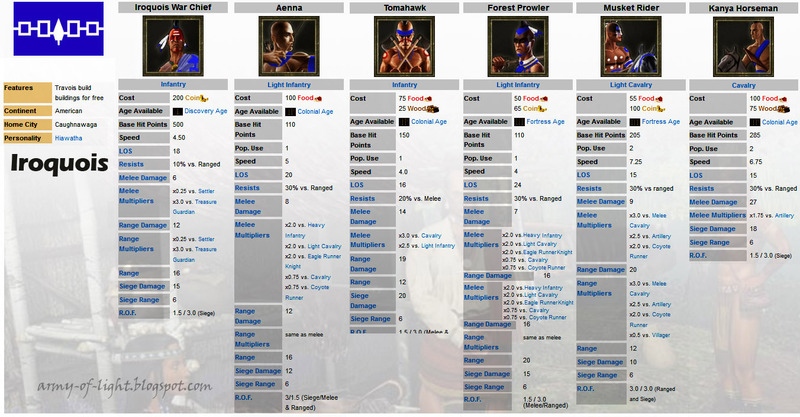 This is an picture artwork for Iroquois Civilization and their Units. Iroquois is one of the three American tribes faction for Age of Empires III - The Warchief Expansion. Iroquois civilization is considered the middle between Aztec and Sioux. 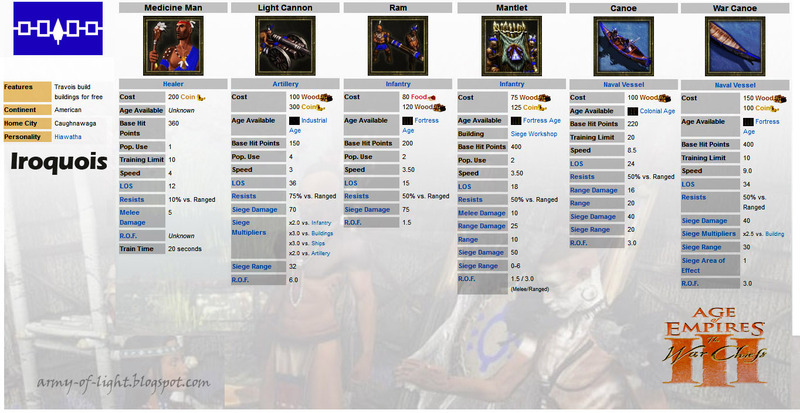 They start with Iroquois warchief which have a strong starting skill that do large amount of range damage. As with all the three warchief, they can converted treasure guardian to become their side. Their best military units combo consist of Aenna and Tomahawk. They also have a mantlet to cover for defending. Lastly, they have light canon and ram for destroying enemies buildings. The Iroquois is the only tribe with artillery unit.